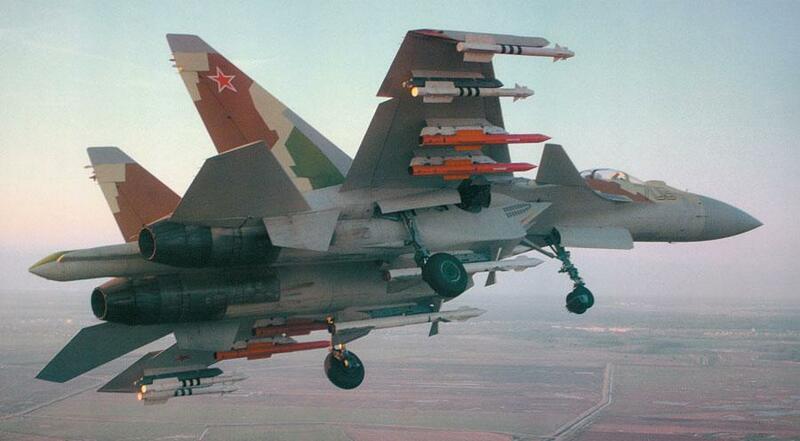 The Russian Air Force will receive up to 100 Sukhoi fighter jets by 2015, the Defense Ministry spokesman said on Sunday. Three state contracts with the Sukhoi design bureau on the supply of the jets have been already signed, Vladimir Drik said. Fifty advanced Su-35 Flanker-E multirole fighters, billed as "4++ generation using fifth-generation technology," more than ten advanced Su-27SM Flanker multirole jets and five Su-30M2 Flanker-C multirole fighters are among the aircraft to be supplied. The Russian Air Force will also receive twenty-five new Su-34 Fullback fighter-bombers in the next few years, the spokesman said.